Week 3 of the United Soccer League season turned into a Goalapalooza with a total of 32 goals in 5 games and no match recording less than 5 total goals. After the dust settled, West Chester United and the Ukrainian Nationals are tied at the top of the men.s table, and UGH Fury and VE are tied at the top of the women’s table. Next week, as part of the German-American Oktoberfest at the UGH Club, there will be a Women’s Major game in the stadium at noon, followed by a Men’s Major game at 2:30pm. Everyone is welcome. For anyone who would like to check out the action, matches are Sunday afternoons, either 12p m or 2:30 pm. Many of our clubs have private fields with adjoining clubhouses where you can stop in for a meal or a pint. 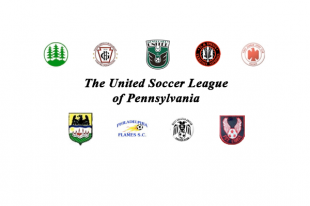 The schedule is posted HERE, or you can visit the league website at www.UnitedSoccerLeague.us.